Liam Bryant & The Handsome Devils - Her Name Means Grace. 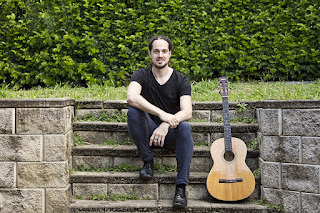 Background - Accompanied by his trusty acoustic foot stomp box, “Stompy” and his foot tambourine, “Tamby", Liam recorded his debut album, The Pessimist & The Optimist at Airlock Studios in Samford Valley with Producer Yanto Browning (Art of Sleeping, Kate Miller- Heidke). The album has been mastered by the ARIA winning William Bowden (Gotye). To complete the album, Liam invited a very talented bunch of musicians named The Handsome Devils who each brought with them their instrument of choice (electric guitar, bass, keys and drums). Their contribution brought great power, dynamic and space to the album recording and has certainly given their live show a devilish amount of depth. Be Like Pablo - There She Is. Background - There She Is is the best Be Like Pablo song to date.” says lead songwriter, Ewen Watson, of the mischievous Scottish band. A bold statement to make for a band with a consistent record of quality music behind them, but not an exaggerated one in this case. With influences like The Rentals, and The Cars, the band’s interest in retro imagery and sounds are prominent in the track, yet their trademark Moog synths, and fuzzy power chords help to underline the narrative that runs throughout ‘There She Is’. Ruth Carp and The Fish Heads - I'm So Scared. 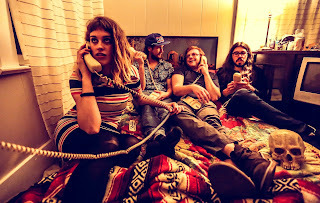 Background - Last week, Ruth Carp & The Fish Heads released "I'm So Scared," the first single from their upcoming album 'Can Men Like Us Go To Heaven.' 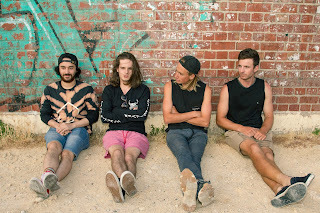 The track speaks about the debilitating nature of anxiety, while the video captures Ruth Carp's isolationist attitude at a house party in Sydney's iconic suburb of Newtown. 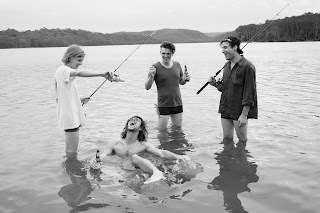 Ruth Carp & The Fish Heads combine elements of Australiana, with shoegaze and psych rock. 'Can Men Like Us Go To Heaven' is the follow up to the band's debut EP, 'It's This Or The Noose'. They will be on tour in the US this spring, with dates in Los Angeles, Austin (SXSW), Nashville, Chicago, New York, and more. Bandcamp here, Facebook here. Tour dates over on our tour page. Sorority Noise - A Better Sun. Background - Sorority Noise have shared "A Better Sun", the second single off of their upcoming record You're Not As _____ As You Think. The single follows the highly regarded first single "No Halo" which was released in January. Sorority Noise write important songs. They go to uncomfortable places, unafraid to let the darkness in – but they’re also not shy at kicking back until the sorrow subsides. They’re songs of confusion, anger, life, death, mental health and, most importantly, hope. They’re what it means to be human. It’s in this way that the album’s title comes into view, and it only takes inserting a few adjectives – sad, happy, rich, poor – to realize life is all about perspective. Hardships are inevitable, but so is hope. 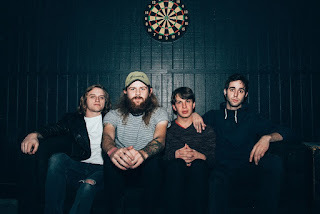 Rather than living in the shadows, Sorority Noise have learned the only way to move past the struggle is by never stopping moving forward into the sun. Website here, Facebook here. Background - Starting off as a not so secret band within a band, three dudes assembled and bonded over their love of punk rock. Keeping the cliché alive, Jack, Danyon and Zac jammed to poorly recorded drum tracks on Youtube in a small study turned studio room, nicknamed "the toaster shack oven". Never being able to start simultaneously with the internet, Youtube was easily replaced with the arrival of Jedd who completed Curbside Drive. Go Fever - United States Of My Mind. Background - Sarah Klang is an artist that immediately encapsulates you with her voice, an utterly fascinating universe. 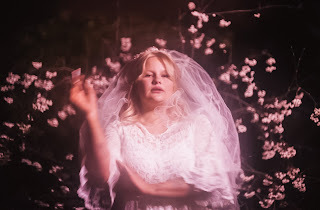 Since releasing debut single ”Sleep” last year (a track that quickly made it on to Spotify’s taste maker list Fresh Finds) she’s teamed up with producer Kevin Andersson (Troubled Tracks) in native Gothenburg, Sweden. The first result from this collaboration is ”Strangers” – a beautiful next step for Sarah. - I wrote ”Strangers” during my last days in Gothenburg prior to leaving for Stockholm. It’s about a old relationship that ended. It was hard hanging around in the same town, bump into each other. You know, when you know everything about a person; the dark sides and the bright sides. It’s not so much about missing someone, more about having shared it all and then suddenly act like you don’t know each other.